WNYC hosts Leonard Lopate and Jonathan Schwartz have been fired after being put on "indefinite leave" earlier this month over accusations of inappropriate behavior. The station's parent organization, New York Public Radio, said on Thursday that it terminated the employment of the well-known radio hosts "following two separate investigations overseen by outside counsel." "These investigations found that each individual had violated our standards for providing an inclusive, appropriate, and respectful work environment," said NYPR spokesperson, Jennifer Houlihan Roussel. In each investigation, outside investigators interviewed multiple witnesses as well as the hosts themselves. "The investigation into Leonard Lopate's conduct was prompted by recent allegations of inappropriate behavior, following a previous substantiated investigation in February of this year of inappropriate remarks made by Lopate to staff," Roussel said in a statement provided to CNN. "That previous investigation resulted in one-on-one anti-harassment training for him and a warning to Lopate that he was creating an uncomfortable work environment." An investigation into Schwartz's behavior was prompted by "multiple complaints of inappropriate behavior received earlier this month" and followed "previous complaints, including as recently as November of this year, that were investigated and substantiated by New York Public Radio and resulted in disciplinary action at those times," Roussel said. 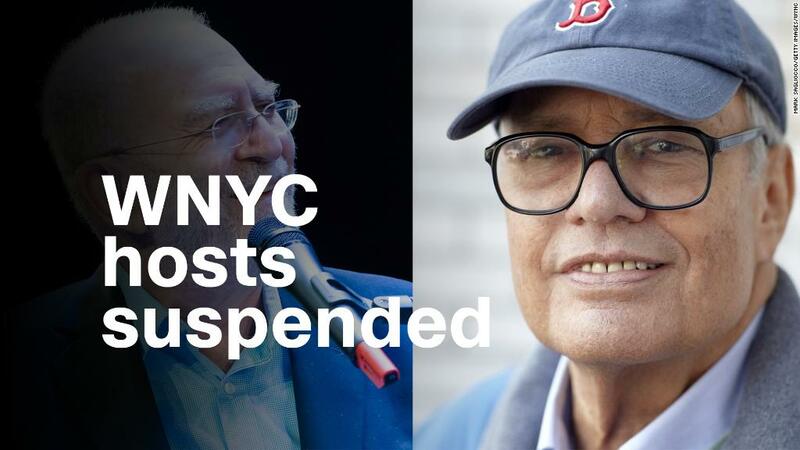 "We recognize that Leonard Lopate and Jonathan Schwartz have made many contributions to New York Public Radio and we are deeply saddened to have to take these steps," she added. "But our higher commitment continues to be to ensure an inclusive and respectful environment for our staff, guests and listeners." WNYC reported that Schwartz said earlier this week that this episode in his life was "the most hurtful, outrageous and saddest I've ever experienced." After being put on leave earlier this month, Lopate told CNN that he was "baffled by this" and that "I'm sure that any honest investigation will completely clear me." The investigations into Lopate and Schwartz came after The Cut published a report that included allegations of inappropriate touching and bullying by another WNYC personality, former radio host John Hockenberry, who apologized, saying, "my behavior was not always appropriate." Schwartz declined to comment about the termination. Lopate called the decision "unjust" and told WNYC that he was "really sad and shocked."